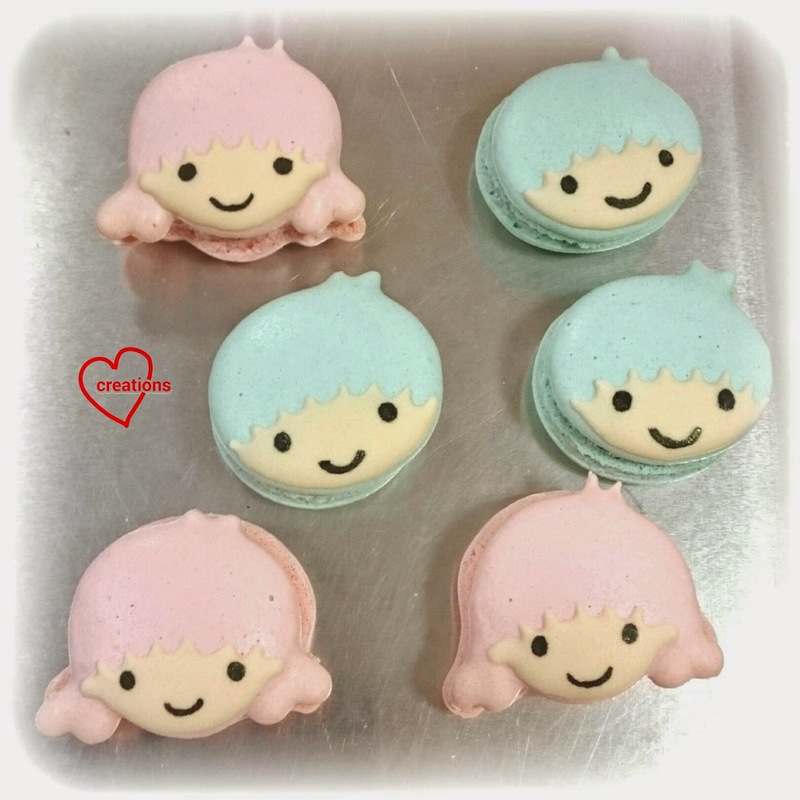 These rose and lavendar Little Twin Stars are a product of leftover batter from my killer heels macaron bake :). 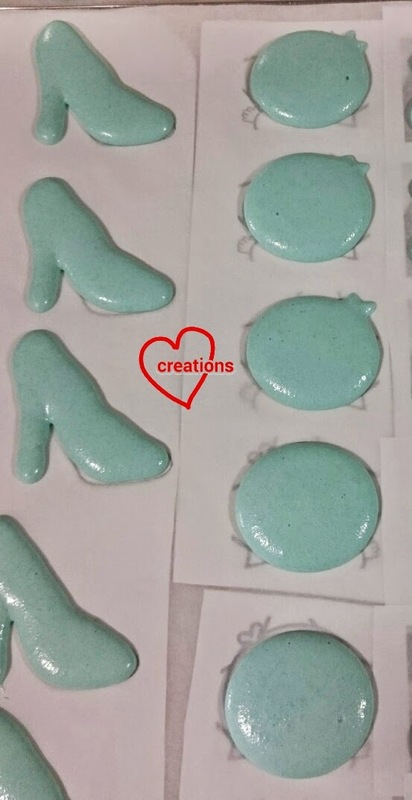 Please refer to the killer heels bake for the shell and filling recipe. 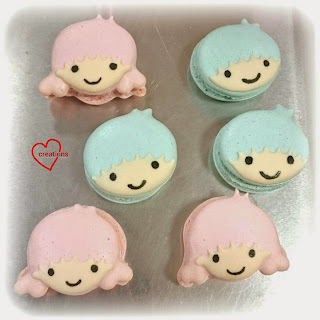 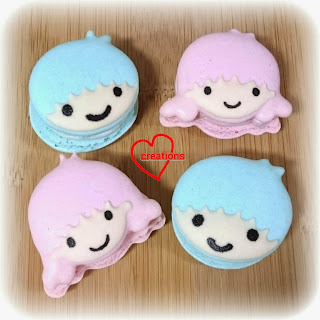 Just to share some pictures and important note about using edible markers for macarons. I piped out the batter using Wilton #10 tip for the boy and a combination of #8 and #10 for the girl. 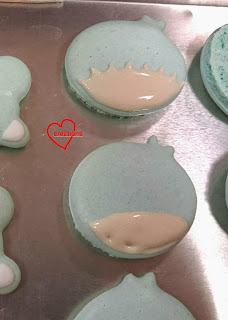 I used a toothpick to pull the batter for the hair sticking out. 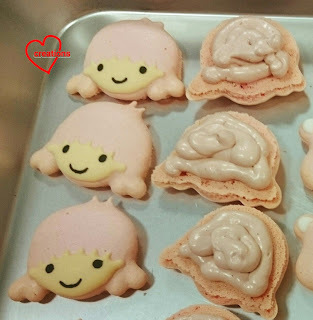 Leave out the hair detail for bottom shells. 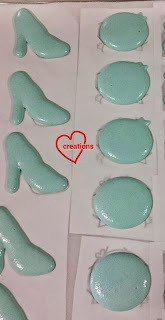 Using flesh coloured royal icing for the face. 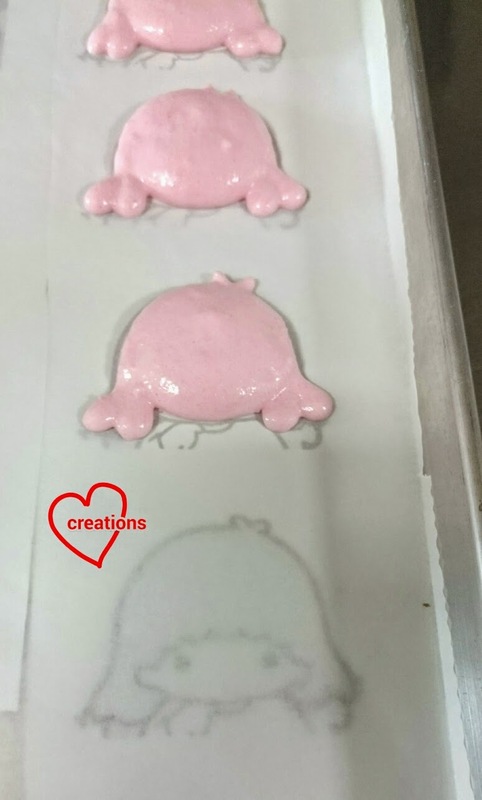 Dry the flesh coloured icing completely, preferably overnight before adding in the eyes and mouth using charcoal/ black gel coloured royal icing. 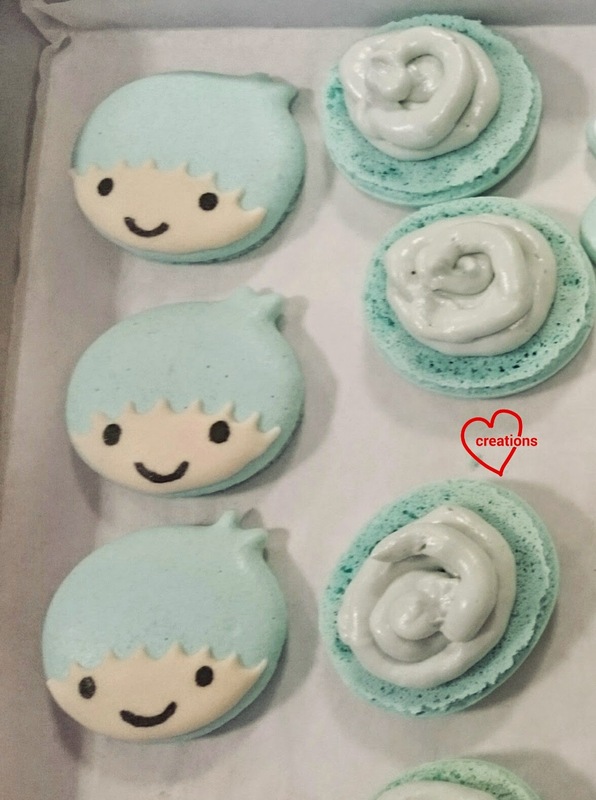 I made a mistake of not drying the icing overnight, and then using edible marker on the icing. 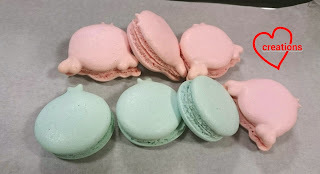 While edible markers do well directly on macaron shells, they tend to run when used on icing after storing in the fridge due to condensation on the icing. The marker drawings smudged and ran even more with time (too ugly to post here :p) so please do use royal icing to add any details on iced parts!